للمسافرين الذين يرغبون أن يعيشو كل ما تقدمه جولد كوست, Boulevard Towers Holiday Apartments هو الخيار الأمثل. يمكن من هنا للضيوف الاستمتاع بسهولة الوصول إلى كل ما تقدمه هذه المدينة النابضة بالحياة. بالنسبة لمن يريد الخروج، هذه بعض المعالم السياحية المتوفرة للزوار Broadbeach Surf School, Brad Holmes Surf Coaching, Royal Queensland Art Society. إن Boulevard Towers Holiday Apartments حريص على توفير الراحة للنزلاء، فلا يوفر الموظفون جهداً في تقديم أفضل الخدمات وضمان حسن الاستقبال. يقدم الفندق واي فاي مجاني في جميع الغرف, مرافق مخصصة لذوي الاحتياجات الخاصة, تسجيل وصول/خروج سريع, تخزين الأمتعة, صف السيارات لضمان الراحة القصوى لضيوفه. لقد جهزت هذه الإقامة الفندقية بعناية فائقة لتوفر مستوى عالي من الراحة. في بعض الغرف يجد النزيل حوض الاسترخاء, غرف لغير المدخنين, مكيف هواء, تدفئة, شرفة/ تراس. يقدم الفندق العديد من الفرص للاستجمام كمثل حوض استحمام ساخن, ساونا, حمام سباحة خارجي, حمام سباحة داخلي, سبا. 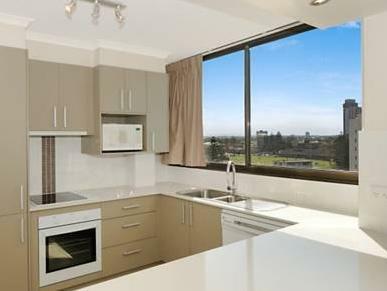 مهما كانت أسبابك لزيارة جولد كوست، فإن Boulevard Towers Holiday Apartments هو الخيار الأفضل لإقامة مثيرة وممتعة. Beautiful views from all rooms. The apartment had nice furniture and the beds were comfy. Just a couple minutes walk from heaps of restaurants or grocery stores and directly across from the beach!! There were 4 of us in a 2 bedroom apartment. The apartment was a good size. Spacious and well laid out. The best part of the stay there was definitely the view. Fantastic sunrise across the horizon. A younger gentleman at the counter was really helpful. Told us to avoid a certain route up to Springbrook as there had been a landslide a few days earlier. On the downside, our apartment was quite dated and needs a bit of fixing. The only ceiling light in the master bedroom was not working throughout our entire stay. The tub in the common bathroom had a bit of rust on the metal and in general, it wasn't a tub that I would think about soaking in as it looked kind of grubby. Pots and pans in the kitchen - also would not consider cooking in them. No air-conditioners or heater in the rooms. Only a ceiling fan in each. A/C was only available in the living area. Supposed to have WiFi but never received password. Forgot to ask on our way out and we were always back a late so couldn't ask. Place very outdated, kitchen badly equipped, dishwasher and everything needs updating, water pressure trickled. 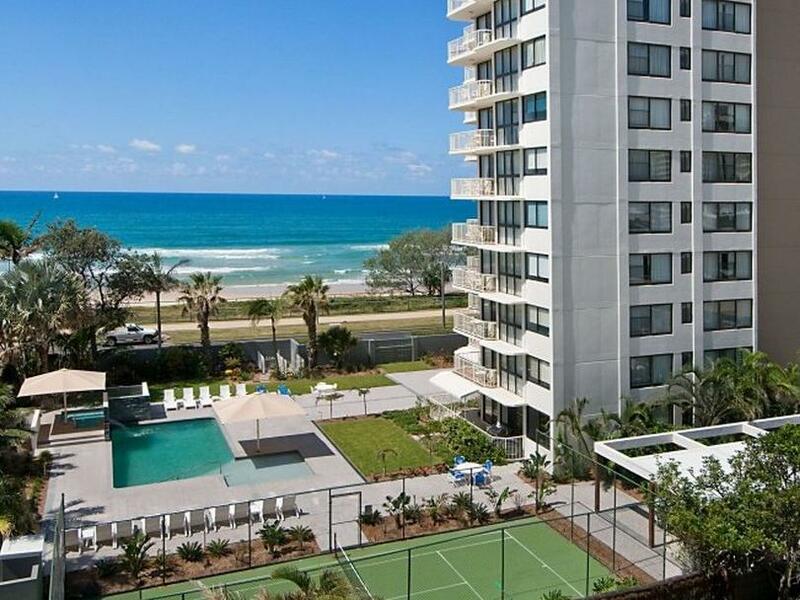 Not good value for what you pay, can go to tweed heads for better accommodation. Enjoyed the stay. Only thing that was annoying until you got used to it was the sound of the lifts echoing through the bedrooms. Sounded like someone shifting furniture upstairs. The bed was disgusting. The poky dark apartment smelt like a toilet. The washing machine was broken and it took me an hour to get it to work. The fridge wasn't cold and I had to fiddle with a broken vent to get it to a decent temperature. Our dairy goods had to be thrown out as they got too warm overnight. I comained to management and I got treated like it was all my fault. They were not helpful at all. Best things were the beautiful ocean view and the lovely swimming pool. I would stay there again because of these 2 things but definitely in a better apartment. Loved location and view. Apartment was clean. Friendly staff. While the building is well located close to the beach and has useful facilities such as swimming pool, hot tub, tennis court and BBQ area, there were a number of short comings which made it feel overpriced. The two lifts serving the building are enfuriatingly slow to arrive and to travel in, some kitchen bowls and containers were cracked and only two of the four hotplates to the stove were operating. The light to the oven didn't work and the exhaust fan to the stove was also inoperable. Within a separate apartment rented by our son and his family (at the same time) a number of the legs to the dining room chairs were loose or broken and in a dangerous condition. While the building itself is reasonably maintained for its age, our observations of the two apartments with which we were associated are badly in need of some detail attention and maintenance. 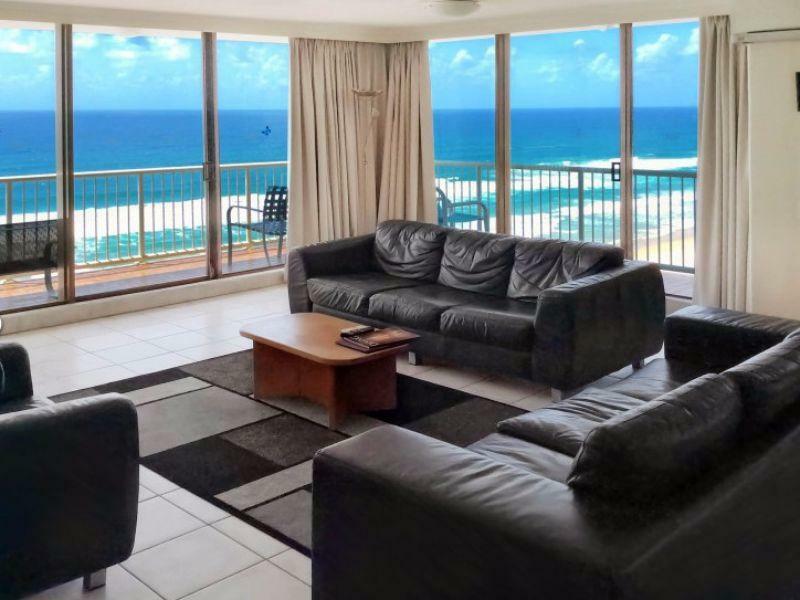 Location is good, free parking and awesome sea view! Had a great weekend, large apartment with 2 bedrooms with 2 baths overlooking the beach. 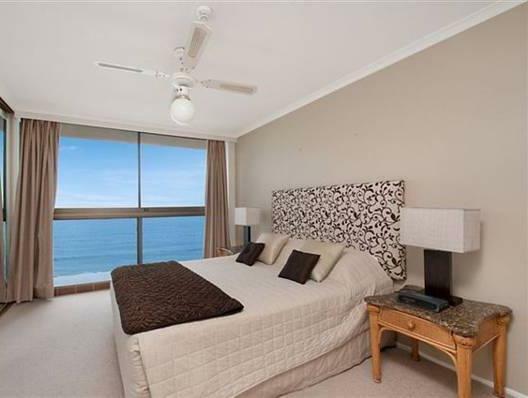 As a family of four, this apartment provided all we needed, with spectacular views of Broadbeach. good location. beach views. not up to a clean standard. the queen bed was actually 2 singles.. the spa was colder than the pool lol! This residence is by seaside. We enjoyed the sun rise view at 5 am, the morning sea shore walk and the quiet night with starring sky. We will revisit this residence in the future. Spent the first day cleaning our apartment and had management also clean certain areas?? Rooms were run down, dirty and had a terrible odour. The baby cot we ask for was extremely dirty. Furniture and floor coverings were extremely dirty. Back of the bathroom door had extensive panel damage with thick visible dirt build-up under the sink and side of the bath. Windows ledges were covered in thick dust and also unlockable, risky with small children. Ceiling fans did not operate correctly. Overall the apartment was poorly maintained which was disappointing as it’s in a great location.